Small shaft for fabric (diameter 19 mm.). MINI system is usually used as a light filter for every wing of the plastic window. The lower bar is fixed by small magnets to the lower side of the wing. This is more low-budget alternative to the cassette systems. You can separately order the guides which will allow to reduce the price of the product and reach the level of the comfort like the cassette type system has. Big shaft for fabric (diameter 25, 32, 45 mm depending on the sizes needed). Width 300 to 4500 mm. Height up to 5000 mm. 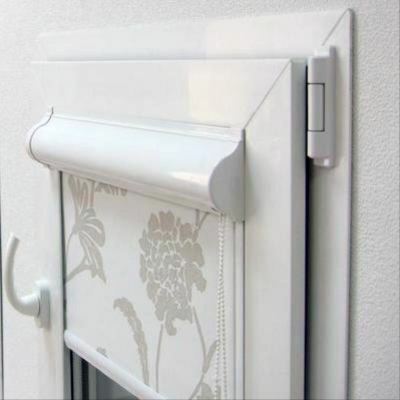 Roller blind can be installed on the opening to the wall and inside to the jamb, or to the ceiling. The system is similar to MINI but with a larger fittings for larger sizes. The roll can be covered with a white aluminium box or with a decorative box with an insert of a piece of used fabric. 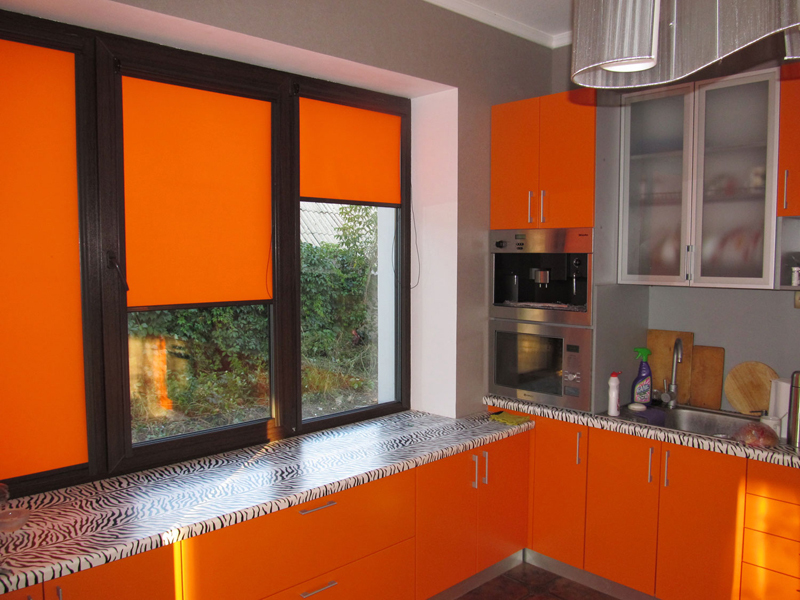 Roller blinds are unusual, compact, and practical. 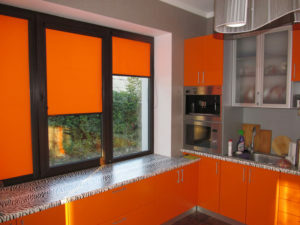 It is easy to change your interior with roller blinds. These blinds can fit into any style. 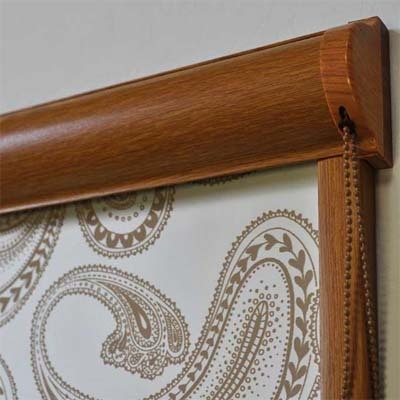 roller blinds consist of one solid fabric sheet you can unroll to the needed size. The density of fabrics varies and you can change the level of light transmission with the different density. The choice of colours is wide and it will be easy to choose the necessary shade. Free access to the window sill. 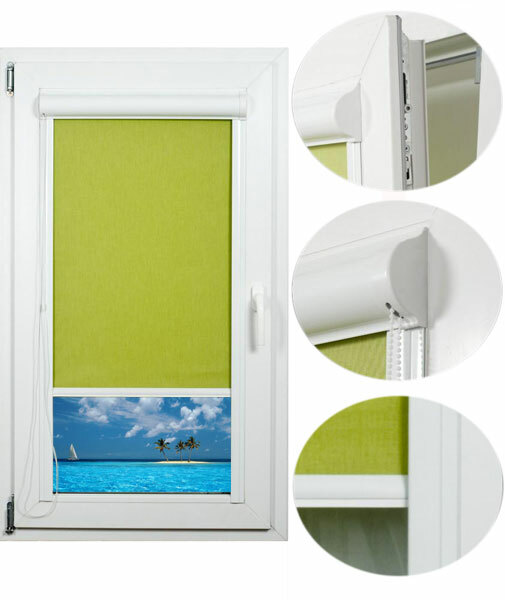 In summer, roller blinds prevent the room from heating up and fading out. In winter, they prevent the heat loss. Perfectly fit modern plastic windows. They form the whole visual construction with the window.